Sustainable forest management, as defined by the United Nation’s Food and Agriculture Organization, is the stewardship and use of forests and forest lands in a way, and at a rate, that maintains their biodiversity, productivity, regeneration capacity, vitality and their potential to fulfill, now and in the future, relevant ecological, economic and social functions, at local, national, and global levels, and that does not cause damage to other ecosystems. Many of the structural wood building materials manufactured in North America are produced from timber that is harvested from forests that are managed under one of several forest certification programs. 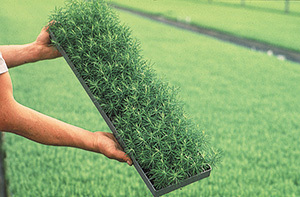 These programs include the Forest Stewardship Council (FSC). 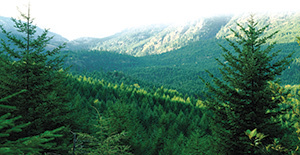 The American Tree Farm System (ATFS), the Canadian Standards Association (CSA) Group Sustainable Forest Management System Standard, and the Sustainable Forestry Initiative (SFI). Some forest management entities have followed sustainable forest management practices on their own for years, but do not participate in the certification programs for a variety of reasons, including the expense involved with certification. Others are guided by state or provincial programs. 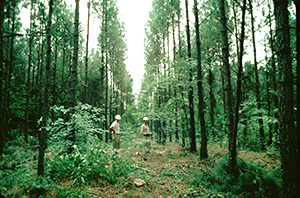 Contact each manufacturer directly to learn about its philosophy and practices regarding sustainable forest management. ​Forest certification programs verify the sustainable forest management practices of land management companies, forest product manufacturers, and other related organizations. The list below provides the forest management certifications of select APA member manufacturers. OTHER = Meets other local, state and/or regional federal regulations (as applicable) regarding sustainable forest management. Contact manufacturer directly for specific information.